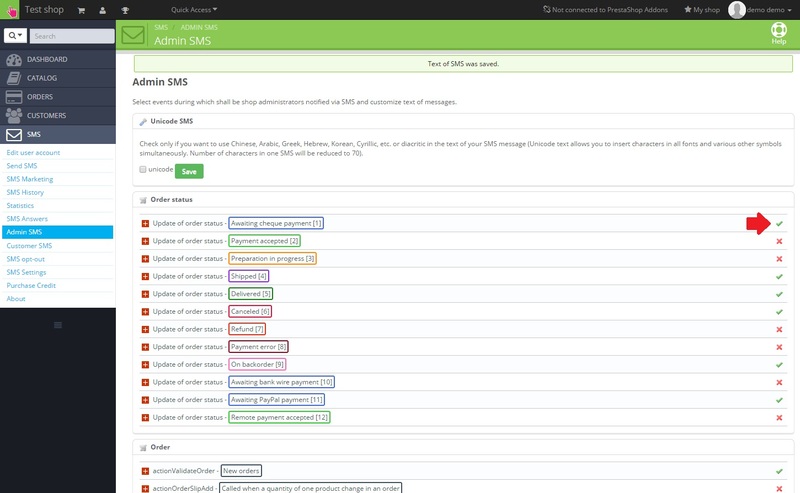 After you have successfully added at least one administrator, you can set the SMS text for each event. 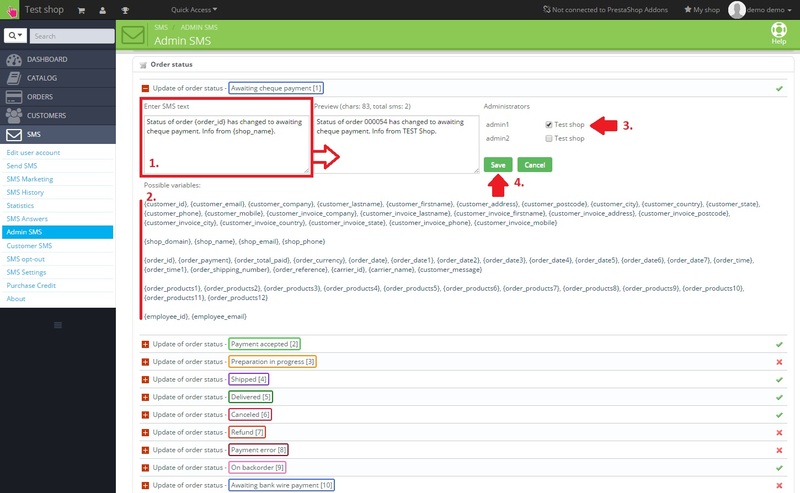 Move the mouse over the SMS tab in the PrestaShop main menu and choose Admin SMS. If you wish to use diacritic or non-latin languages like chinese, arabic, greek, etc., check Unicode and confirm by clicking on Save. Otherwise the characters with diacritic won´t be displayed correctly. 1. Edit the SMS text. You can see a live preview in the adjacent field. 3. Tick the administrators for particular e-shops who will be sent the SMS. 4. Activate selected event by clicking on Save. The SMS text was saved. 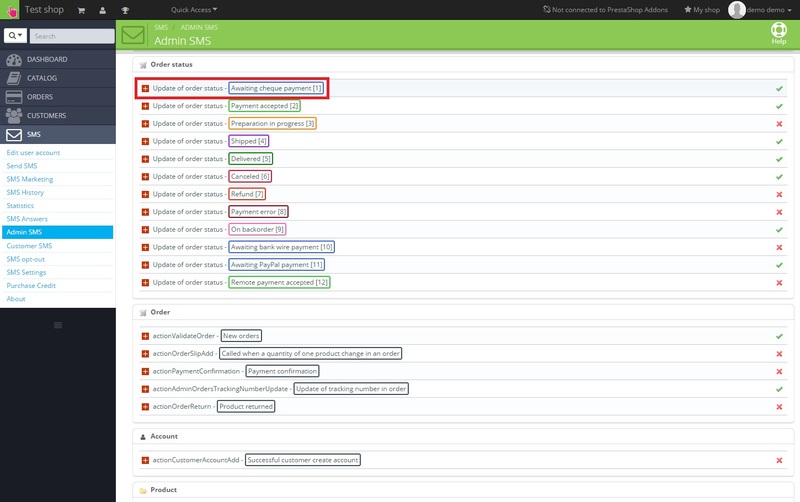 Active events are marked green.